Sanguinarine is an alkaloid that belongs to a group of chemical compounds that occur naturally and usually contain primary nitrogen atoms. This group includes some related compounds as well that have weakly or neutral, acidic properties. 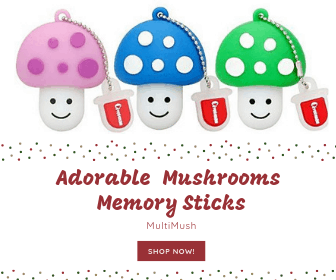 A large number of organisms can produce alkaloids such as fungi, bacteria, plants, and animals. Sanguinarine is, however, a plant alkaloid. This alkaloid is an isoquinoline and belongs to a group of benzophenanthridines. It is the most widely used benzophenanthridine alkaloid. It is usually extracted from bloodroot (Sanguinaria Canadensis) from which its name is drawn. Sanguinarine is concentrated in high amounts in the plant’s rhizome but the leaves and flowers have minimal concentration. It can also be extracted from other plants such as the Mexican prickly poppy (Argemone Mexicana) and the five-seeded plume-poppy (Macleaya cordata). It can also be found in the leaves, stem, and root of the opium poppy (Papaver somniferum) but is absent in the plant’s capsule. In alternative medicine, Native Americans once used this alkaloid as a medical remedy in the form of bloodroot. They believed it had curative properties for respiratory aid, to induce vomiting as well as treat a variety of other ailments. Sanguinarine was also used as a remedy for warts in Colonial America. However, there were adverse effects that were identified which may suggest that the alkaloid’s toxic or therapeutic actions may strictly be dose-dependent. 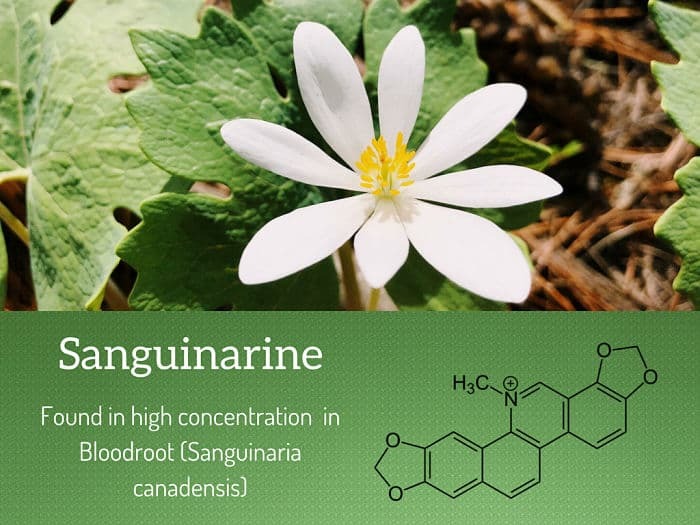 Sanguinarine has been shown to contain anti-inflammatory, antioxidant and antimicrobial properties and is used widely in mouthwash and toothpaste for the prevention and even treatment of gingivitis as well as other inflammatory conditions. Recently, alternative medicine companies have been promoting it as a treatment or even cure for cancer. Studies on the positive cytostatic and cytotoxicity effects of sanguinarine have been reported on a variety of human cancer cells such as erythroleukemia, promyelocytic leukemia, human epidermoid carcinoma, bone cancer, prostate cancer, breast cancer, lung cancer, pancreatic cancer and colon cancer. Studies have also shown that the alkaloid, through different molecular pathways, inhibits the growth of a tumor. The alkaloid can also impede the invasiveness and proliferation of tumor cells. However, despite all these studies that show this alkaloid as a potential candidate for cancer treatments, the U.S Food and Drug Administration (FDA) warns that products containing either bloodroots or any other plant that contains sanguinarine should be avoided since they are yet to be proven to have anti-cancer effects. Sanguinarine is toxic which kills animal cells via its action on the Na+-K+-ATPase transmembrane protein. This protein’s standard physiological functions include maintaining the resting potential as well as regulating cell volume through the process of pumping potassium into the cells while pumping sodium out, against the concentration gradient of both. The pumping of the potassium and sodium in and out of the cells uses energy in the form of ATP, is mediated through active transport and it also plays a significant role in cell physiology. Another effect of the alkaloid is that it causes a disease known as epidemic dropsy when ingested. Epidemic dropsy is a form of edema of extremities caused by intoxication. Furthermore, sanguinarine is termed as an escharotic because, if applied to the skin, it can cause excessive scab formation, called an eschar, made of dead flesh where the alkaloid killed the cells concentrated in the area it was applied. Additionally, sanguinarine in escharotic form, when used on the skin to treat skin cancer, can leave the cancerous cells in the skin alive while creating a scar at the same time. Therefore, sanguinarine is not recommended for use as a skin cancer treatment. Despite the use of this alkaloid in oral care products, epidemiological studies, supported by in vitro studies have reported a correlation between the use of toothpaste and mouthwash containing sanguinarine and oral leukoplakia (a possible oral cancer precursor). However, these findings have been somewhat disputed. Even though the substance has been removed from many dental care products, there are still numerous products with sanguinarine on the market and caution is warranted, as more studies have been called for to determine whether the use of sanguinarine in oral care products is safe. Different studies so far show a variation in the doses that are considered as safe. This might indicate that different animal and cellular models show different data when studying the potential toxicity of sanguinarine. Therefore, more studies should be done to address this issue. Sanguinarine has been used in recent times in animal feed supplements. The feeds have been shown, through studies, to improve weight gain in broilers, tilapia and weaning pigs. These studies also showed that there was no DNA damage on the animals fed on these supplements which led to the conclusion that if ingested in small doses over a period of months there was no risk of toxicity. Studies have shown that sanguinarine has a wide array of biological effects as well as a vast therapeutic potential. However, it is essential that this plant alkaloid to be subjected to more toxicity testing before any of its therapeutic usefulness and safety can be fully understood and confirmed.